One mother's efforts to help her daughter tame her back-to-school jitters has grown into an international campaign to increase the visibility of children and adults with disabilities in the media. Last year Katie Driscoll took some photos to help her daughter tame the back-to-school jitters. Now her efforts have transformed into an international campaign to increase visibility of children and adults with disabilities in the media. 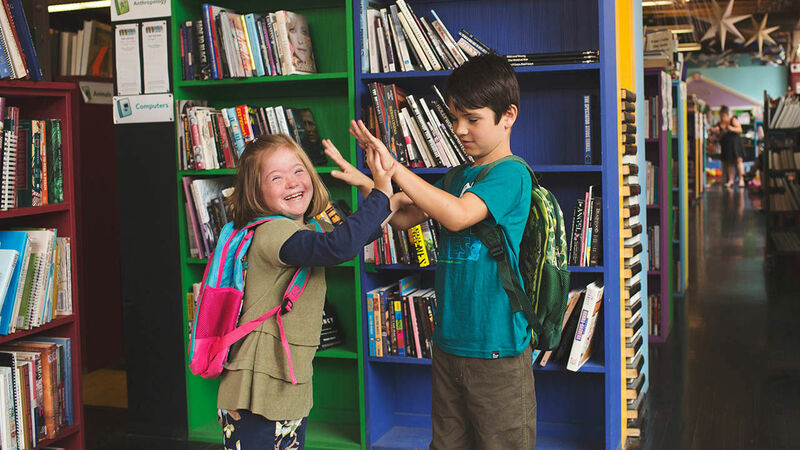 Katie Driscoll's daughter Grace has Down syndrome, and unlike her five brothers, she didn't see anyone she could relate to in the back-to-school advertisements. Driscoll said this is because there isn't adequate representation of children with disabilities. This can contribute to problems with confidence and self-assurance that people with disabilities face, in turn leading to trouble finding employment and seeking independence later in life. "Unfortunately in general back-to-school advertising there's not a high visibility," she told ABC. "Children with any kind of difference remain virtually invisible in the media." So last year Driscoll, a professional photographer, organized a back-to-school shoot herself. She gathered a group of children with disabilities and, like any other back-to-school shoot, armed them with books and school supplies. A year later, what started as a mother's mission has grown into a global movement. 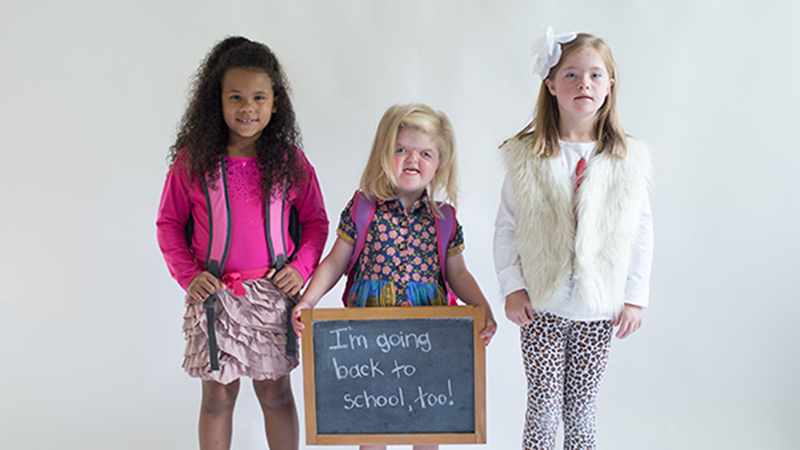 Driscoll's nonprofit, Changing the Face of Beauty, has partnered with more than 100 companies, which have all pledged to include children with disabilities in their back-to-school advertising. "They wanted consumers to know that they value every child," she said. "They value them as a consumer. They value the message that all kids are important." That's where the hashtag for this year's campaign, #ImGoingBackToSchoolToo came from. Driscoll said the companies she works with are amazed that the idea never occurred to them. "The response is, 'Wow, that was really not a big deal. We just hadn't thought of it,'" she said. "I don't think they're [children with disabilities] intentionally not included. They're just not thought about." Driscoll, though, said we have a long way to go until the day when visibility is equal. She envisions a world where inclusive advertising comes naturally. "The best-case scenario would be there would be no need for this nonprofit," she said. "Wouldn't it be great if we didn't have to have this conversation?"